WHEREAS, designating a state seashell will encourage citizens of the state and visitors alike to visit the beautiful beaches and coastal waters of the state. 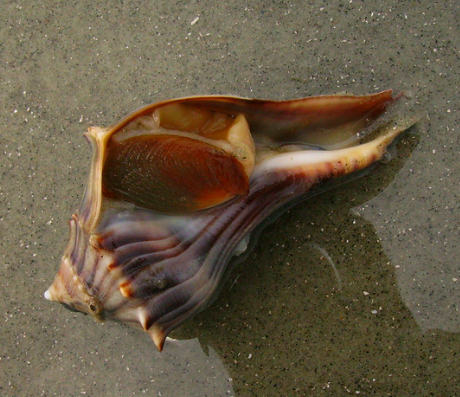 NOW, THEREFORE, BE IT RESOLVED BY THE GENERAL ASSEMBLY OF GEORGIA that the Knobbed Whelk, Busycon carica, is designated as the official Georgia seashell. Approved April 16, 1987. Source: Ga. Laws 1987, p. 1130. 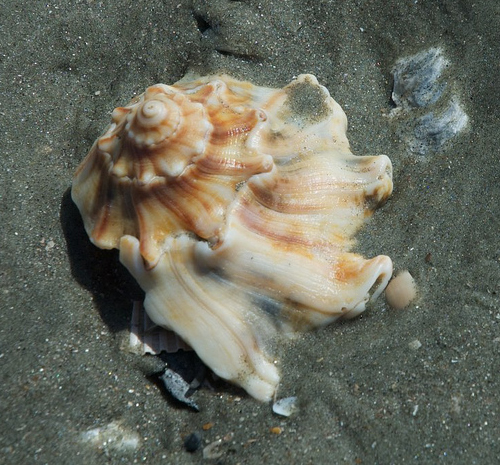 Live knobbed whelk; photo by f_iodinea on Flickr (noncommercial use permitted with attribution).